Please note that Administrative Rules 1009 (pdf) have been updated, effective December 19, 2017. What is the (110 ILCS 27/) Dual Credit Quality Act? Speed time to degree completion. Facilitate the transition between high school and college. Enhance communication between high school and colleges. Offer opportunities for improving degree attainment for underserved student populations. IBHE Dual Credit Administrative Rules (pdf). 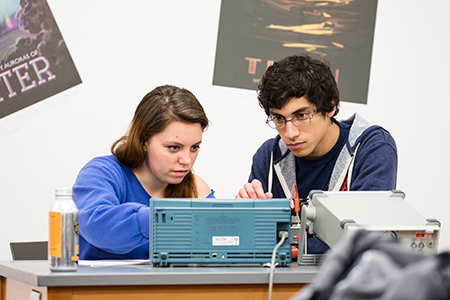 Illinois Community Colleges have a separate process that is administered by the Illinois Community College Board (ICCB). The Illinois Community College Administrative Rules can be found here. Please contact ICCB for assistance at 217-785-0123. Step 1: Complete and Submit the Dual Credit Notification of Activity Form and Dual Credit Site Spreadsheet. Please include all partner high schools (include address and zip code for both forms). Submit the Dual Credit Notification of Activity Form (docx) and Dual Credit Site Spreadsheet (xlsx) to the Illinois Board of Higher Education. Click on the document names to access. Both should be submitted at the same time, electronically to IBHE at dualcredit@ibhe.org. IBHE will review the Summary of Activity Form and Dual Credit Site Spreadsheet to determine the next steps. If the institution has operating authority in the higher education region for planned dual credit activity AND adequate evidence of compliance with the standards is provided, the institution will be granted institutional approval for dual credit within the State of Illinois. For approval, an institution must also submit the IBHE Dual Credit Compliance Form. (pdf) Click on the document name to access. Submit electronically to IBHE at dualcredit@ibhe.org. If the institution DOES NOT have operating authority within the particular region requested for dual credit, then the institution will need to follow IBHE’s procedures for obtaining operating authority within the State of Illinois. The first step is to attend orientation. Once operating authority and compliance is confirmed, a letter of approval will be sent. Maintenance of Approval will be determined by submission of the Annual Report (see Step #6). For new operating authority applications within the State of Illinois, approval to operate must be approved by board action from the Illinois Board of Higher Education. By June 30th, each institution must report its dual credit activity within the State of Illinois by completing the Annual Report to maintain approval. Maintenance of approval is dependent upon submission of the Annual Report. Annual Report (xlsx). All dual credit activities at the institution must be compiled into one Annual Report. The Annual Report will reflect all dual credit activities for the most recent academic year. Upon receipt of the Annual Report, a desk audit may be conducted to verify evidence of compliance.